ICID has for half a century been the main organization for the global dissemination of experience and new ideas in the quest for the sustainable use and protection of water and land to meet the worlds increasing demand for food and fibre. 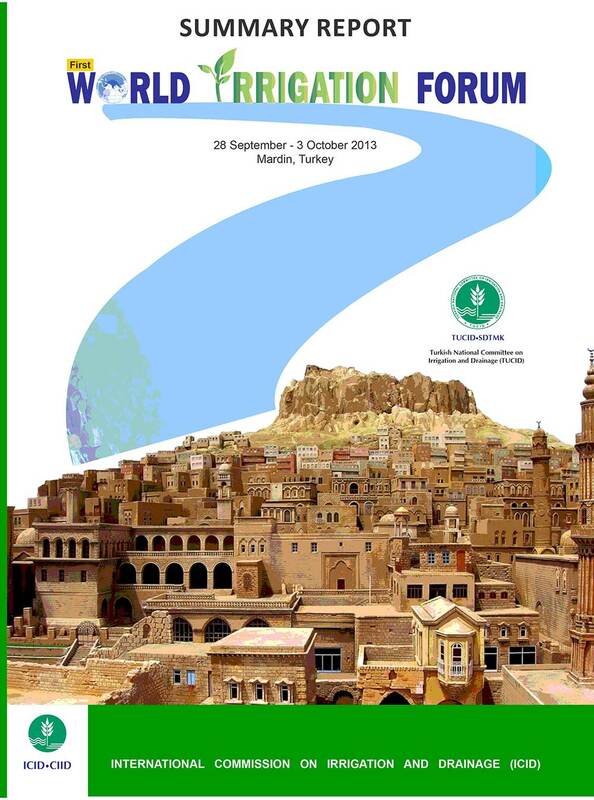 The ICID Journal ‘Irrigation and Drainage’ is the flagship publication of ICID. The journal is a prestigious, peer-reviewed publication, publishing original papers on scientific, engineering, environmental and socio-economic issues associated with irrigation and drainage. It is a rich resource of reference to professionals, engineers, researchers, university professors and students of irrigation, drainage, and agriculture disciplines. Its management is governed by an International Editorial Board (EB). The Journal is published in five issues per volume by M/s. Wiley-Blackwell Ltd., United Kingdom and is also now available online. The 2013 impact factor was 0.685, with the five year impact factor of 1.10. As members, all ICID National Committees receive 10 copies of the Journal for distribution among its members, on a complimentary basis preferably on-line, but can also be provided in hard copy. Members of various Working Groups also receive a complimentary copy. Direct Members also receive an on-line complimentary copy. ICID jointly with FAO was involved in the preparations of the Thematic Priority 2.2 on ‘Contribute to Food Security by Optimal Use of Water’ with Dr Pasquale Steduto from FAO as the Coordinator of the Core Group and Prof Bart Schultz, President Honoraire, ICID as Co-coordinator. Under this thematic priority nine targets were identified and debated in various essions including the opening session, a multi-stakeholder panel, and a synthesis session during the Forum to move from “targets” to “solutions”. Commission on Irrigation and Drainage (ICID) has provided a number of publications dedicated exclusively to various facets of agriculture drainage. The present DVD entitled “Agriculture Drainage Digest (1973-2013)” is another such effort by the WGDrainagethat compiles all the possible publications addressing the theory and practise of drainage in one place and make it easily accessible in electronic format. It is hoped that this DVD will be another gem in the knowledge series brought out by ICID through the activities of its WGs from time to time. The Asian Regional Working Group (ASRWG) organized several workshops and seminars on the subject. It set up an Asian Regional Task Force on Climate Change (ARTF-CC) to study the effects of climate change in the field of irrigation and drainage in Asia. The participating countries were: China, Indian, Indonesia, Iran, Japan, Korea, Malaysia, Nepal, Pakistan, Chinese Taipei, Thailand, and Turkey. The study was carried out in two steps. This status report is based on the outcomes of these deliberations and case studies. Tidal areas exist all over the world along the coasts. Generally they are sensitive areas with a high ecological value. Due to their physical conditions and environmental value they are normally left as such and spared from development. However, due to strategic reasons, in many locations there are often tremendous pressures to develop these areas for various types of land uses. Thus, ICID Working Group on Sustainable Development of Tidal Areas (WG-SDTA) held several workshops, seminars and meetings during last decade in order to prepare this publication. The publication presents the principles and guidelines for engineers and the decision makers for sustainable development of tidal areas. The publication is based on experiences from specialists in various densely populated countries, like China, Germany, India, Indonesia, Japan, Korea, Malaysia, Taiwan, the Netherlands and the United Kingdom. The publication is based on three principles: optimal use of land and water resources, disaster prevention, and the preservation of biodiversity for present and future generations.  Who are its members?  What is its contribution?  How it meets challenges? This handy computer software can be very useful for persons/ organizations interested in knowing about ICID and participation in its activities. ICID instituted 'WatSave Awards' in 1997 to recognize professionals for their outstanding contribution to water saving in agriculture across the world. Since its establishment, there has been an overwhelming response and over 135 nominations from ICID national committees were received. So far, 24 awards have been given to the professionals coming from 12 countries across the world. 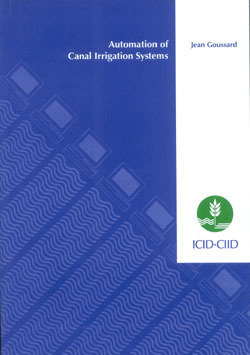 Earlier, a booklet providing primary information about the water saving practices adopted by some of the ICID member countries was published in 1995. Subsequently, a comprehensive document "THE WATSAVE SCENARIO" comprising information received from 27 countries was published in 1997. The document was very well received not only by ICID member countries but by international organizations, as well. This document is a compilation in a different form. Besides bringing out in a generic sense selected experts across the world have contributed to enhance its contents. 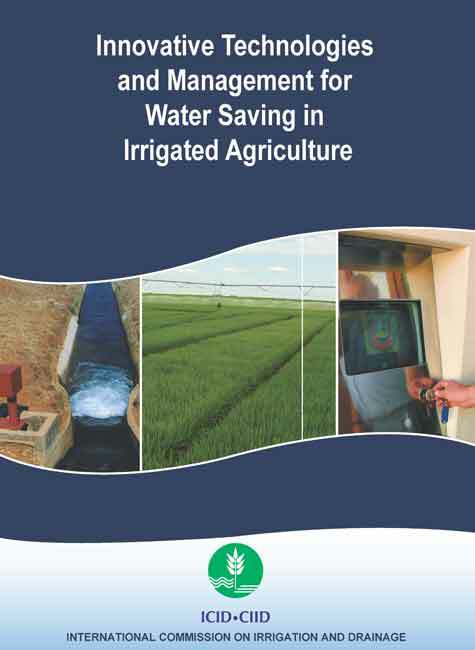 The case studies of successful water savings from Australia, Brazil, China, India, Egypt, Korea, Pakistan, South Africa, Spain, Turkmenistan, and USA are highlighted and as obvious, water saving efforts is more conspicuous in countries having significant irrigated agriculture. It is hoped that the innovative ideas and practices captured in this compilation would enthuse other countries and ICID's mission to spread 'best practices' would stand accomplished. This book will be a rich source of knowledge and reference work providing an inspiration for those professionals engaged in aspiring 'more and more crop per drop'. Of the worlds 50 Least Developed Countries (LDCs), 15 are located in Asia and remaining are in Africa and South America. Development and management of irrigation, drainage and flood control play a key role in poverty eradication and increasing the productivity of agriculture in LDCs. ICID in 2003 established a Task Force for Least Developed Countries in Asia (TF-LDCs-AS) to investigate the problems and needs of LDCs and to identify the priority issues that need to be addressed for their development. It was found that the LDCs are facing problems like  capital shortage, poor governance, limited capacity to service financial borrowings, inadequate legal systems, and underdeveloped farmer organizations. This book contains various recommendations towards promoting irrigation and drainage in LDCs of Asia. Improvement of on-farm irrigation efficiency is important not only to enhance the overall irrigation efficiency of the irrigation schemes but also to boost the crop water productivity. Worldwide, the use of sprinkler and micro irrigation methods have been steadily increasing in order to cope with declining water withdrawals to irrigation, better use of other farm inputs like - seed, fertilizers and chemicals, energy, etc. besides increasing crop yields. At the same time, these pressurized irrigation technologies should not be considered as a panacea for improved on-farm water management. Experience has shown that if these systems are not designed, operated, and maintained properly, they may not give the expected benefits and even in some situations may adversely affect the crop growth. It is therefore essential to carry out periodic diagnostic analysis and performance evaluation of the pressurized irrigation systems to ensure that they are operating optimally. ICID Working Group on On-Farm Water Management (WG-ON-FARM) has been promoting the science and art of on-farm technology with a view to improve irrigation management and optimal use of various resources, and technology transfer worldwide. Among the pressurized irrigation, micro irrigation technology is expanding by leaps and bounds. Today about 14% of the total world irrigated area is equipped with sprinkler and micro irrigation systems. Many new and innovative products are being produced by the researchers and manufacturers. This publication 'Manual for Performance Evaluation of Sprinkler and Drip Irrigation Systems in Different Agro-Climatic Regions of the World' is the third in its series. The manual is authored by Dr. Graziano Ghinassi, Member WG-ON-FARM and Researcher, Department of Agricultural and Forest Engineering, University of Florence, Italy. 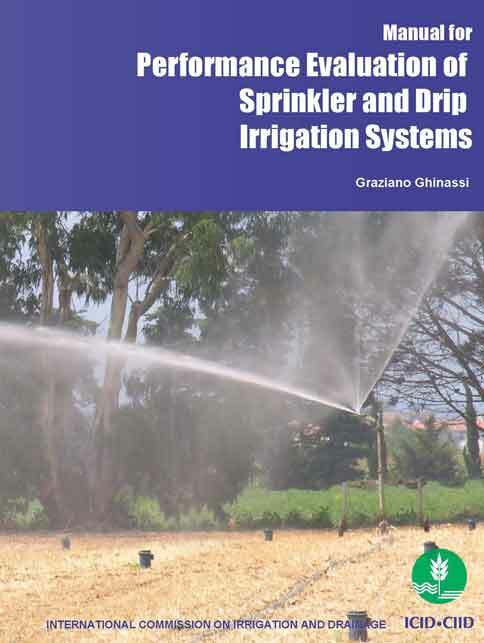 Dr. Ghinassi has a long and varied field experience in conducting performance evaluation tests of different types of sprinkler and micro irrigation systems. Although, there are many publications on performance evaluation of on-farm irrigation methods, this manual is different due to its own unique approach. It provides a comprehensive information both, theoretical and practical; these inter-alia include appropriate performance indicators, field evaluation techniques and factors affecting irrigation systems performance etc. Dr. Ghinassi has touched upon the practical aspects and provided minute details on various performance indicators and their field testing. The use of several diagrams/ sketches and field pictures, besides case studies from various countries enhance the value of the work. TF3 : To Prepare ICID Position Paper on Socio-Economic Sustainability of Services provided by Irrigation, Drainage and Flood Schemes in Water Resources Sector. All the above TFs completed their assigned tasks by 2004. This CD-ROM presents the findings of the Task Forces in the form of reports produced by them. Over the past three decades, micro irrigation as a technology has matured into a reliable water and fertigation management system for crop production. The usage of micro irrigation is increasing world over, especially in arid and semi-arid regions as an effective water conservation and demand management measure to cope up with the increasing scarcity of water in agriculture. The micro irrigated area grew gradually from 1.1 million ha in 1986 to about 3.0 million ha in 2000. Today, the micro irrigation is practiced in more than 70 countries covering an area of over 6 million ha showing the doubling of area just in the last six years. Based on the initiative of Working Group on On-Farm Irrigation Systems (WG-ON-FARM), the Central Office ICID in collaboration with the Israel National Committee on Irrigation and Drainage (ISCID) brought out these guidelines. The book contains 14 chapters and provides information on the latest developments in micro irrigation system components, practical aspects of water treatment and filtration, fertigation, monitoring and control, and maintenance of micro irrigation systems. Israel has been a pioneering country in the field of pressurized irrigation technology, especially in micro irrigation. Mr. Moshe Sne, the author of the book has a vast experience in the planning, designing and implementation of micro irrigation systems. The book has a sizeable illustrations and tables. The step by step procedure of planning and design of micro irrigation system for variety of crops are given in a scientific manner in a lucid language with some practical examples. This guideline will be a valuable reference book for irrigation engineers, practising professionals in water management, students, farmers, manufacturers and all those dealing with the subject of micro irrigation. Rainfall does not always fall uniformly, even in humid regions. Rainfall events have large seasonal or irregular fluctuations. Upland irrigation, therefore is necessary in humid regions in order to keep the soil moisture at desired level. Intensive cultivation is essential in order to harvest high quality fruits and vegetables, and careful water application via irrigation is very essential. The publication deals with all aspects of micro irrigation system like planning and design taking into consideration the special characteristics viz., climate, crops, farming systems and cropping patterns, etc. pertaining to the project area. It summarizes information about on-farm micro irrigation from published manuals and guidelines dealing with upland irrigation in Japan, with particular reference to humid areas. 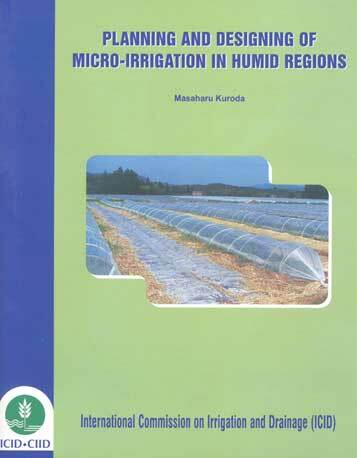 It provides information on computation of consumptive use/crop water requirements in humid climate and different layouts of micro irrigation with special reference to Japanese situation. For demonstrative purposes, the author has provided a detailed mathematical analysis of planning and designing of a farm pond. Flood Management (or flood risk management) concerns all actions related to the control of floods, the mitigation of flooding and, after such flood control and mitigative measures have been implemented, the management of the residual risk of flooding. In order to decide on an optimum solution of flooding problems, it is necessary to know the extent of damage caused by floods of different magnitudes/probabilities. A logical method of assessing such damage for use in the selection of a flood protection system is presented in this Manual. An effort has been made to formulate recommendations for the application of a certain return period as a function of the considerations mentioned in the Manual. Advantages and disadvantages of a standard level of protection have been mentioned. Reasons for adopting a certain level of protection for a certain area (such as loss of human life), has been discussed including related political, economic or psychological considerations. Further, the use of hydrodynamic mathematical models of the deterministic type for carrying out flood management has been described. The purpose and effectiveness of certain mathematical models for understanding the flooding phenomenon for studying and testing flood control measures and, finally, for calculating various flood parameters has also been described. 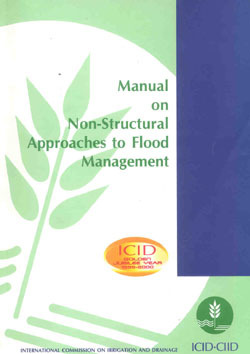 In all, this Manual covers all management strategies for flood mitigation involving structural approaches and complements ICIDs Manual on Non-Structural Approaches to Flood Management. Conservation of water resources is becoming increasingly important as the demand for water from agriculture, domestic and industrial sectors and ecosystem rises rapidly and the new sources of supply become scarcer. There is increasing evidence that conventional methods using hard/rigid surfaces to reduce seepage losses from irrigation canals are not performing as expected. Drainage problems are often amplified as a result of excessive seepage losses from canals. In this context, adoption of innovative construction techniques in irrigation and drainage projects with the use of geosynthetics is an important step forward. The generic term Geosynthetics is used to designate construction materials produced by the chemical and textile industry for use in geotechnical engineering. The geosynthetics industry, during the last three decades has developed a wide range of materials that are useful in the development of irrigation and drainage projects, especially for controlling seepage and erosion. Geosynthetics now provide unprecedented possibilities for design and construction of low embankment dams, cost effective solutions for slope and channel protection, and long term solution for control of seepage losses from reservoirs and channels. It is now possible to find a geosynthetic material that meets project specifications and has durability consistent with the project design life, even under extreme climatic conditions. Experience of application of geo-synthetics in several countries has amply proved their superiority over the traditional hard/ rigid lining materials in respect of quality, saving in cost and time of installation, especially for irrigation canals in operation. 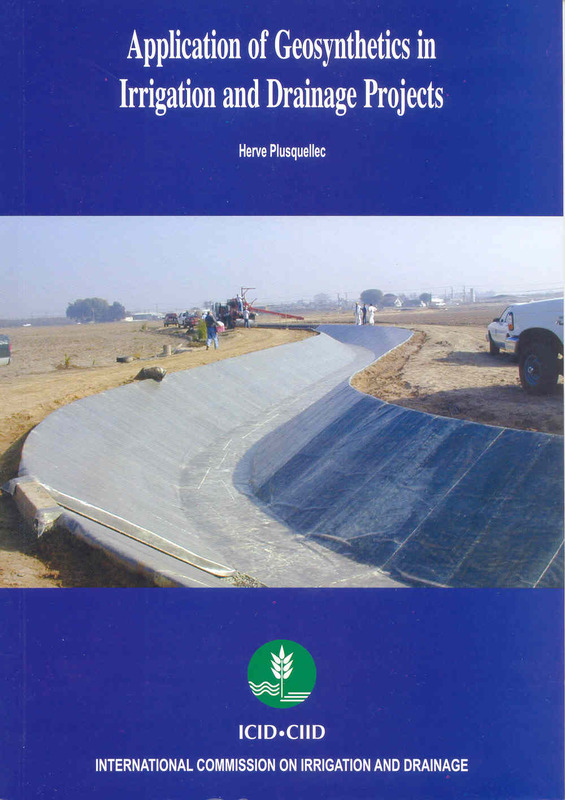 The book provides information on the wide range of geosynthetics and their potential application to irrigation and drainage projects. The controversial issue of lining or not irrrigation canals and the design and construction issues of lining with conventional hard materials or with the use of geosynthetics is discussed. Special attention is given to the techniques to line existing canals with minimum interruption of irrigation service with the use of geocells, concrete-filled mattresses or field fabricated geocomposite for example. Finally the book discusses the selection of geomembranes based on the technical service requirements-and not purely on cost considerations-and discusses the two main procurement methods based either on material-specific or performance-specifications. The book contains more than 20 coloured photographs of actual installations and use of geosynthetics in various irrigation projects world over. The book provides a list of international organizations involved in the development of geosynthetics and providing services to the industry and to their clients, model of performance-type technical specifications for the supply and installation of geomembranes, and technical specifications for the supply of laboratory equipments. This book is of great interest to various agencies dealing with execution of irrigation and drainage projects, irrigation and drainage engineers, planners, and financing and research institutions. It is hoped that it will stimulate consideration of the use of geosynthetics in upgrading existing irrigation systems in need of rehabilitation and modernization. The book will be useful, particularly for developing countries where its application is not keeping pace with the development of geosynthetics industry but massive investments are taking place for modernization/rehabilitation of irrigation and drainage systems. ICID has brought out this book to keep the professionals abreast with the advances in the rapidly changing and expanding geosynthetics technology. Mr. Plusquellec, author of the book, has compiled available information on different types of geosynthetic materials and provided practical tips for selection, installation, procurement and quality control to facilitate safe design and construction of structures incorporating geosynthetics. Mr. Plusquellec has extensive field experience in design, management and performance assessment of irrigation projects world over during his tenure with the World Bank. He has direct experience in the use of geosynthetics in large irrigation projects in Middle East, South Asia and China. Geosynthetics experts Mr. Michael Snell, UK and Mr. Peter Stevenson, Secretary, International Geosynthetics Society (IGS) have reviewed the document and Prof. J.P. Giroud, President Hon., IGS has provided prologue to the publication. This publication provides a historical picture of the past and present of the Indus Basin covering an area of 1.15 million sq km. The mighty Indus river, originating at a height of 5,494 +MSL near Mansarovar lake in Tibet in the Himalayas, flows for 2,880 km to meet the Arabian Sea. This is the sixth largest river of the world whose agriculture-centred civilization belongs to the fifth millennium BC, only second to that of Euphrates/Tigris of 7th millennium, but older than Niles of 4th millennium, or that of Huang Ho (Yellow river) of 2nd millennium. In terms of water carried, the Indus flow is three times Niles, ten times Colorados and equal to Columbias. Agriculture, like in other contemporary civilizations, was the backbone of Indus too. Megasthenes and Fa-Hsien, as also the modern archaeologists and historians have all eloquently described the magnificence of this basin, its agriculture and artistic skill of its people as evidenced from excavated pottery, stone work, sculpture and seals. Kalibangan excavations in present western Rajasthan (2450-2300 BC) shows a ploughed field, the first site of this nature in the world. It shows grid of furrows, placed about 30 cm apart running east-west and other spaced about 190 cm apart running north-south, a pattern remarkably similar to the one practiced even now.The great bath at Mohenjo-Daro deployed an ingenious hydraulic system. The level of urbanization was seemingly far more advanced than in other contemporary civilizations. Cities were divided into the citadel and residential areas and the streets ran straight, following a grid iron pattern. The houses were built of burnt bricks with remarkable drainage system using ceramic drain pipes, covered sewers and vaulted sub-terranean conduits. Like all the tropical monsoon basins, the Indus Basin has been experiencing floods of varying magnitudes from time immemorial. The archaeological explorations in search of Indus Valley Civilization have revealed the existence of embankments on river banks to protect cities. The founder of Mughal dynasty in India in the early 16th century, Babur, gave in his memoirs called Baburnamah a vivid description of natural history and prevalent modes of irrigation practices in India at that time. The fields were irrigated by transporting water through inundation canals making use of rivers in spate and by sailaba (flooding) irrigation. The dug wells were also put to use to draw water for irrigation. The existence of Karezs (underground water channels) and lifting devices called charas, shaduf or dhenkli, rati and Persian wheels indicates extensive use of groundwater for irrigation. The early stone dams, called Gabar Bunds, and terrace dams, called Kach Bunds, have been found in the arid regions of Sindh and Balochistan, delta area and south-western part of Sindh. The Gabar Bunds captured and stored annual runoff from surrounding mountains to be made available to tracts under cultivation. With the introduction of canal irrigation in the basin during British rule, necessary legal framework to bring about orderly use and regulation of water also got built-up and levy system of cess/toll/dues on some canals for irrigation/navigation was started. By about 1880, the old settled regions of the Punjab comprising lands carrying proprietory rights had been provided with irrigation facilities either by constructing new canals or by remodelling and restoration of old canals. Warabandi (rotational) system of water distribution amongst users is the hallmark of Indus basin that has worked well for centuries. Various types of warabandi, such as bhaichara (brotherhood), khatewar (farmers title wise), nakkewar (farm inlet wise) etc. are still being practised with astounding success. At places, the overuse of irrigation water has given rise to the twin problems of waterlogging and salinity affecting productivity. Efforts are on to tackle the menace. The basin is home to an internationally acclaimed water sharing accord, called the Indus Water Treaty, signed between India and Pakistan in 1960 that has survived the test of time. The large infrastructure development in the basin comprising dams, barrages, canals, minors etc. has helped in transformation of the basin as a bread basket for the two countries. Constantly improving command area development and management, besides on-farm developmental works, have imparted better productivity in the region. The irrigation system in the Indus basin is today perhaps worlds largest integrated and physically contiguous system, in a densely populated region that crossed a population figure of 196 million in 1991. River Danube, also called variously as Donau, Dunaj, Duna, Dunav or Dunarea in different countries, originates in the high Schwarzwald massif and flows for 2,857 km across Europe to meet the Black Sea and traverses on its way through glacier-covered mountains, karst formations, forests, highlands and uplands, plateaus with deeply carved river valleys and plains as an international waterway connecting nine (previously seven) countries. With its 817,000 sq km catchment area, it is ranked 25th in the world and length- and discharge wise the second largest river (after Volga) in Europe, crossing 22 geographical latitudes joining nine countries - Austria, Bulgaria, erstwhile Czechoslovakia (covering Bohemia and Slovakia since 1993), Germany, Hungary, Romania and former Yugoslavia (covering Croatia and Serbia since 1989). The rich, fertile basin has been the centre of attraction for the trading nations, as also for the conquerors and nomads since the earliest times. In the 8th to 7th century BC, Phenicians, Egyptians, and Greeks entered the Danube estuary initiating trade contacts with the local population. In the 6th century BC, the Persian monarch, Darius the First, attempted to occupy the territories adjacent to lower Danube basin. Alexander the Great of Macedonia attempted its occupation in 334 BC. In the first century AD, the upper Danube formed a part of Roman Empire. In the years 101 - 106 AD, the Roman Emperor Traianus defeated the Dacian tribes who were settled in the lower Danube basin. Up to the year 271 AD when Romans retreated, water use for agriculture had started. During 6th to 17th century, irrigation techniques and water mills saw a marked development, though complex water capturing projects for new agricultural lands could be possible only towards the end of 19th century. The earliest measures of hydraulic engineering on the Danube have been recorded by or attributed to the monasteries of Niederaltelch (founded by monks in 731) and Oberalteich. Meadow irrigation in the idyllic tributary valley of the Lauchert in Germany goes back to 16th century. The oldest known document on irrigation regulation originates from the year 1584. Numerous documents and plans for meadow irrigation are preserved from the 19th century. In Bulgaria, agriculture became the main occupation of the people during 9th  11th century. The Byzantine rule in 11th  12th century encouraged agriculture up to 1396, when its decline fragmented the region. The uprising of 1876 in Bulgaria marked the beginning of organised rice agriculture. The drainage activities were started here in 1920 and river training in 1927. Water syndicates were subsequently constituted. Bulgaria today has a highly developed scientific base for agriculture. Austrias oldest irrigation canal of the 12th century was called Kehrbach connecting the Leitha river at Wiener Neustadt. Old irrigation systems, mostly built along natural gradients, can be found in Lower Austria in the Waldviertel region and the Amstetten district. The practice of irrigation in Nitra River Valley during 1615 - 1620 is evidenced by the first report of irrigation of the year 1673 in Bohemia part of erstwhile Czechoslovakia, even though the drainage of swamps and peat bogs started in 10th century. The flood control measures in Czechoslovakia were initiated through Belá canal (1440), Lánsky canal (1450), Golden channel (1506 - 1520), Opatovicky canal (1554) and Nová Reka channel (1585 - 1590). Bulk of water regulation, flood control and drainage works in Hungary was completed in the third and fourth centuries. The initiation of flood control program for Tisza river from 1830 and its tributaries in 1890s was necessitated due to increase in population and need for improved river based transportation in Hungary. Large scale drainage projects in Hungary actually started in 1880-1890. At that time, about 2,300 km of drainage canals in the Danube valley and 3,800 km in the Tisza valley drained harmful excess waters. The canal network length doubled in the following decade and 103 pumping stations supported drainage activities. Yugoslavias Pannonian Basin is reported to be the oldest region where agriculture was practiced. Years 1818 - 1820 marked the construction of dykes on the left of Tisza river and the first water cooperative came to be formed in 1845. The first water act was promulgated in 1869. In Romania, plant cultivation was practiced in the south-west of the Carpathian  Danubian - Pontic zone from the end of the 6th millennium and the beginning of 5th century BC simultaneously with the first Neolithic expansion. In advanced Neolithic period, human traction was replaced by bovine traction, deploying cows, being more docile, rather than bulls. Oldest dams attested archaeologically in Romania are the earth dams forming ponds on the minor hydrographical network on the south-west Transylvania plain. This book presents a chronological evolution of the history, art, science and technique of irrigation, drainage and flood management in the riparian countries of Danube river, viz., Austria, Germany, former Czechoslovakia, Hungary, former Yugoslavia, Bulgaria and Romania from the olden times to the period up to 1980. On the eve of its 52nd Annual International Executive Council Meeting and 1st Asian Regional Conference in Seoul, Korea ICID has brought out a History publication Historical Dams edited by Dr. Henning Fahlbusch, Chairman, ICID Working Group on History of Irrigation, Drainage and Flood Control (WG-HIST) comprising 19 chapters contributed by eminent international experts and historians. This publication presents not only the history of dams, historical dams, and the history of development of technologies for various types of dams, but it also highlights the skills and techniques deployed by the builders since olden times. The description of the oldest large earthen dam - Sadd-el-Kafara built around 2700 BC is a poem of spirited imagination translated into undaunting action. An unprecedented flood may have washed away the structure, but in turn the catastrophe generated a good learning experience for future. Storage created in Fayum Depression at the time of Middle Empire (2122-1786 BC) in Egypt; water management in antiquity in the Urartu Kingdom (850-600 BC); development of Qanats, a means to use groundwater in Iran; dam-building activity in Spain, Central Europe, and by Nabataeans, old Sudanese Kush Empire, and the old Kingdom of Saudi Arabia; development of the Mining Ponds in Upper Harz in Germany; and construction of various types of dams during the Seljuk and Ottoman periods, and in Spain and Danube area of Europe present an interesting historical narration. History is not a mere transition to posterity, it is a great teacher to those who strive to transform the society for the better. The efforts of past builders and engineers to develop innovative, safe and sound engineering designs are a fine exhibition of their irrepressible zeal to favourably manoeuver the vagaries of Nature for overall socio-economic development. This publication presents a fascinating insight into the earlier techniques of dam construction - not so refined from present standards, but wellnigh innovative. Covering the history of dam building in several of present day countries, this book is a useful and authentic compilation of hydraulic engineering feats for storage of water through structures of various types and sizes. Water Saving / conservation in irrigated agriculture has become increasingly important for adequate food production, especially in the arid and semi-arid regions of the world. ICID, through its WatSave Work Team (WT-WATS) strives to promote water saving programmes to enhance sustainable development of irrigated agriculture worldwide. 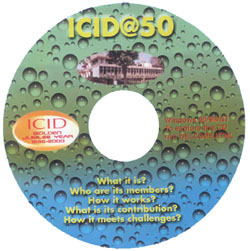 The CD-ROM presents a compilation of various activities carried out by ICID in this subject during last five years. It contains two popular publications entirely, viz. WatSave Activities; Some Lessons and Experiences and WatSave Scenario published in 1995 and 1998, respectively. WatSave Award winning papers from China, Egypt, and Spain, and papers presented in the International WatSave Workshop held at Cape Town, South Africa in October 2000 are also included. The CD-ROM provides an insight into the state-or-art on water saving measures/practices adopted and planned by ICID member countries. 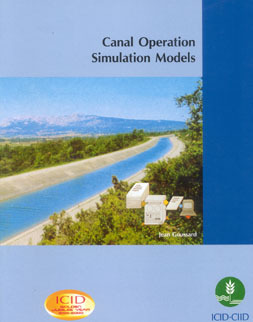 Canal operation simulation models are acknowledged as very efficient tools for improving the design and operation of irrigation canal systems. The development of low-cost powerful personal computers has given access to computer simulation to a large number of potential users. Typically, the use of such models can be of great help for the comparison of various design alternatives, for the development and tuning-up of operational strategies and automatic control algorithms, and for operation or training. In view of this, the erstwhile Working group on Construction, Rehabilitation and Modernisation of Irrigation Projects (WG-CONST), decided at its 1996 Cairo Session to prepare a catalogue of the canal operation simulation models currently available to potential users. The present document is a synthesis of the responses to a questionnaire that was sent to all national Committees of ICID and to organizations and individuals involved in development or use of such programs. This report includes a description of 19 models that are currently in use around the world to assist with the operation of canal distribution systems. The document provides basic information on each of the models and details of model developers or licensing agents from whom the models can be obtained, and will be an invaluable source of information to those system designers and operators worldwide seeking to improve water delivery services. This report is the result of the survey undertaken by the Working Group on Development and Management of Irrigation Systems (WG-DMIS). It has been clear for some time now that there is a close relation between the institutional and management arrangements and the performance of irrigation and drainage systems. This second survey of OM&M funding revealed many important findings about the structure of the irrigation authorities charged with the management of irrigation and drainage. It also reveals some important relations between certain types of organisations and their ability to operate and maintain irrigation and drainage infrastructure to provide services in a sustainable manner. As we enter a new century of irrigation and water resources development institutional performance will play a critical role in managing water for sustainable agriculture. This publication will be of great interest to irrigation and drainage practitioners, researchers and managers with a particular interest in institutional development. Satellite remote sensing and geographic information systems have been used for several years with various degrees of success in irrigation system management. There is an urgent need to provide irrigation and drainage managers and professionals with a guide that allows them to understand and master these tools, and to evaluate their appropriateness to their specific management problems. This methodological guide was initiated by AFEID (Association Francaise pour lEtude des Irrigations et du Drainage) for the International Commission on Irrigation and Drainage. It has now been published after several years of collaborative effort at national and international levels, and aims to fill the information gap previously identified. 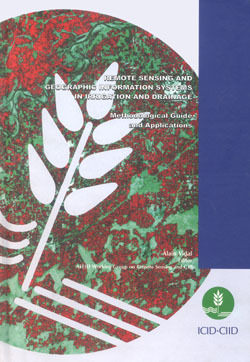 Following the introduction which provides the reader with an overview of how to use the guide depending on their needs, the main text is structured into three sections: the basic elements on remote sensing and on its integration into GIS; a methodology for establishing geographic information base for an irrigation system, which represents a consensus of opinion in the AFEID working group; and examples of applications of remote sensing and GIS. The MTD was first published in English and French languages in 1967 as a hardcopy version. In 1996, the Dictionary was thoroughly revised and a new hardcopy version of this second edition was published. Thereafter it was decided to bring out the next revised edition of the MTD on CD-ROM which was published in 2000. With updated software and more option facilities, the 4th edition of the MTD (English-French) was brought out on CD-Rom in 2002. Soon after the first edition of the MTD was published in 1967, the National Committees of ICID world over felt the need to translate this useful dictionary into their own local languages also for the benefit of their national professionals working in that language. This was primarily the objective of naming the dictionary as 'multilingual'. Thus, with the commendable efforts of the ICID National Committees, the MTD has been translated so far in 14 languages in the past, besides English and French. These national versions of the MTD were initially translated based on the first edition published in 1967. Some of the National Committees later also brought out their next translated editions in local languages based on the 1996 edition of the MTD and others revised them from the 2002 version of the English-French MTD. Thus, the terms contained in the national versions of the Dictionary translated in the local languages of the countries may not be identical or have exact (one-to-one) correspondence with those in the English-French MTD that has been revised more frequently. With the present 5th revised and updated edition of the MTD on CD-ROM, we have great pleasure to add 3 additional languages, viz., Chinese, Russian and Japanese together with English and French. As mentioned above, while the English and French terms have exact correspondence term by term, the others do not have this, having been translated from different editions of the MTD. The Central Office has by itself tried to organize the Chinese and Russian terms and definitions in the desired format to be able to bring them on this CD-Rom, despite the fact that it is not conversant with these languages. A likelihood of some error creeping in due to this is not ruled out. The aim has been to attempt a dictionary that is multilingual, despite odds. A facility exists whereby the errors may be corrected through web. The Japanese National Committee also worked hard to provide us the terms and definitions in Japanese language in the format required and we are happy to include the same on this platform. We hope to add the Indian versions in Hindi and Marathi languages also in the near future. Over the years the science, art and technology in the field of irrigation and drainage have undergone significant innovation, refinement and in some cases, changes. Additionally, new challenges such as climate change have surfaced during the past few years. These have a great bearing on the contents of the dictionary on irrigation and drainage. With the new challenges there appeared some new terminology in some areas, while some terms and definitions hitherto used became rather obsolete. The Working Group on Dictionary had the mandate to identify suitable experts who will be willing to undertake the work of going through the 2002 version of the Dictionary and suggesting modification, deletion or addition of the technical terms and their definitions in the context of their present day usage as relevant to the discipline of irrigation drainage, flood management and allied subjects. The WG was able to identify reviewers for 22 chapters out of 25, which have been now revised, while the remaining 3 chapters will be revised in the next version. Irrigated agriculture contributes more than one third of the food supply to the world population and it will have to continue to play a critical role in the coming century. Although the total irrigated area of the world is increasing, per capita availability of irrigated area is dwindling due to rapid population growth. Many irrigation projects built in the past are no longer irrigating their command area as originally envisaged. Construction cost of new irrigation schemes is increasing. Thus, improvement of productivity both, per unit of land and per unit of water are becoming equally important. Rehabilitation and/ or modernization of irrigation projects has been considered as one of the alternative to achieve afore-said twin objectives. The concepts of Rehabilitation and Modernization are not new ones. Both the strategies have been and are being implemented in numerous irrigation projects world-wide. Since Rehabilitation and Modernization requires substantial investment, the concerned planning and implementing authority should have a clear picture about its necessity and cost effectiveness. The preparation of this Guideline was initiated by Working Group on Development and Management of Irrigation Systems (WG-DMIS). 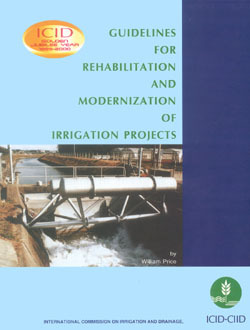 The document is prepared with a view to providing Guidelines and sort of a checklist of several basic factors which need to be considered by the personnel involved in rehabilitation and modernization of irrigation projects, so as to arrive at an appropriate management decision. It is obvious that, each project has site specific issues. The Guidelines therefore will have to be sued in a broader context. It is hoped that this document will be of great assistance to those faced with the task of planning and implementing the rehabilitation and modernization of irrigation schemes, the world over. (4) Preparing for and bearing the loss. The first one calls for protection through physical structures and is termed a structural approach whereas the other three, collectively are known as non-structural approaches. The present manual discusses the non-structural approach and is an outcome of arduous effort put in by the ICIDs Working Group on Non-structural Aspects of Flood Management. 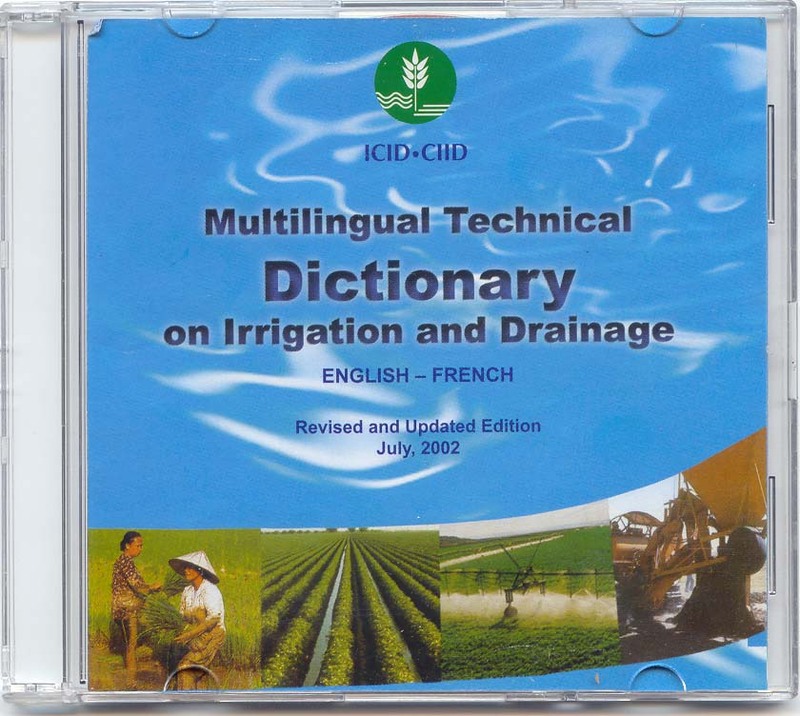 After the first edition of ICID Multilingual Technical Dictionary, new technologies have developed and new practices in design, construction, operation and maintenance of irrigation, drainage and flood control works have come into vogue. Computer aided system analysis has further revolutionized the water and land management strategies. Keeping in view these, Multilingual Technical Dictionary has been revised covering latest fields of application. Present edition of the dictionary is outcome of efforts put in by 42 experts from 11 countries, 15 International Organizations and ICID National Committees. 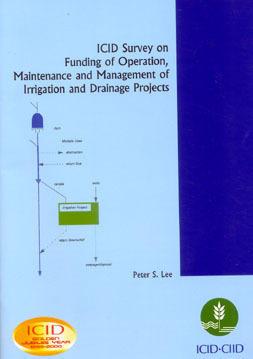 This revised edition contains 10273 terms with definitions related to the field of irrigation, drainage, flood control, hydrology, hydraulic structures, construction techniques, environmental impact and other allied disciplines under 22 Chapters. Illustrative sketches for 557 selected terms have been given for greater clarity. Index of all the terms in alphabetical order has been included both in English and French, at the end to facilitate quick search. 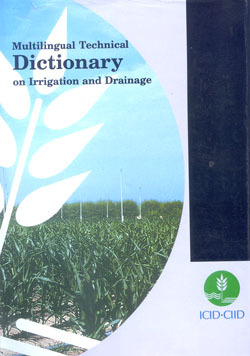 The Dictionary, it is hoped would be highly useful for engineers, researchers, students, professionals, planners, designers, academics and all others related with the field of irrigation and drainage. This document has been brought out under the aegis of ICID Working Group on Mechanized Irrigation. It must be clear that the choice of the most appropriate irrigation system should not be made between two mechanized irrigation systems only. In every particular case, all existing alternatives must be considered whether they are hand-moved or fully automated. It is obvious that what is needed is not to propose the solution but rather to draw the selection criteria which are required for the user to make his own decision. Part one, entitled The Condition of an Irrigation System Selection includes, in detail, the possible selection criteria, drawing attention, on one hand to the possible interrelationship between criteria, and on the other hand to the relevance of the choice. This part defines briefly the types of equipment suitable for the study under consideration. A large section is reserved for the technical criteria. The major features (advantages, disadvantages) of the three irrigation methods, or large families of irrigation techniques (surface irrigation/ sprinkler irrigation/ micro-irrigation) and their most important characteristics are presented. Part two, entitled The constraints to be satisfied by an irrigation System presents in detail the constraints that affect the choice. It aims at specifying and improving the orientation given in Part One and should permit the choice of a technical solution, generally within a given large family. Particular attention is given in the Part Two, to the water delivery network case, because the selection at that level, depending on the situation, enlarges, or on the contrary restricts, the range of possible solution at farm level. A high efficiency of the water conveyance systems for irrigation is imperative for improved productivity of irrigated areas and for avoiding wasteful use of water. Proper monitoring and control of the water delivery system can best be established through automation. An appropriate setup to suit the site-specific requirements can be developed with the use of modern computers and innovative designs for the regulators and control gates. This ICID publication deals with the concept and logic of automation as well as the details of the hardware that go with it. This publication on automation of canal irrigation systems is the contribution of the ICID Working Group on Construction, Rehabilitation and Modernization of Irrigation Projects. Part I Concepts, reviews the operational advantages of automation, the control tasks amenable to automation, possible configurations of the control system, and the various automatic control logics and methods. Part II Equipment, describes the types of equipment and the techniques by means of which the concepts set out in Part I may be applied, including passive regulators, conventional gates with automatic controllers, self-operating gates, position - level and flow sensors, means of communication, and master station hardware. Most of the irrigated land in the world is surface irrigated, with automation currently applied to only a small fraction of the total areas. 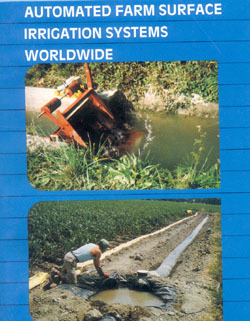 Although irrigation efficiencies as high as 90 per cent or more are achievable for well-managed automation level basin systems (with pneumatic operators), the development of automated surface irrigation is still in its infancy and the number of commercially produced systems and components is small. The degree of automation varies from semi-automatic systems to fully automated systems. There is a large potential for the application of automated surface irrigation systems. This publication deals with on-farm irrigation and describes the state-of-the-art in automated surface irrigation worldwide. It discusses (a) Automation principles and design considerations; (b) Timers and controllers; (c) Open channel distribution systems; (d) Pipeline distribution systems; and (e) Future outlook. The publication is illustrated with photographs and figures. This volume comprises eleven State-of-the-art papers on selected important themes of topical interest in irrigation, drainage and flood control which emanate from a wider international community. These papers will be found valuable by the research workers and practical engineers alike and will hopefully provide inspiration for new ideas for advancement of knowledge in the field of their speciality. This manual is compiled by international experts. It comprises seven chapters and a bibliography. Flood control methods and practices followed in Pakistan and India are given as Appendices I and II. This volume contains an introductory chapter and 39 country reports. The Introductory Chapter presents an overview in English and French of the development of irrigation and drainage in international perspective. The country reports present a comprehensive and authentic account of the development of irrigation and drainage including, inter alia, a general description of physiography; climate and rainfall; population and size of holdings; land resources; water resources; brief history of irrigation and drainage; irrigation and drainage methods used; statistics relating to irrigation and drainage; important projects; field water management; problems relating to irrigation and drainage; present developments, future plans and potentials; administration of irrigation and drainage projects; economics of irrigation and drainage projects; financing of irrigation and drainage projects; new technology and its application; water laws and inter-state agreements; international water agreements and treaties; research on irrigation and drainage; and other features. The countries covered are: Afghanistan, Algeria, Angola, Argentina, Australia, Austria, Bangladesh, Belgium, Bolivia, Botswana, Brazil, Bulgaria, Burma, Canada, Chile, China (People's Republic of), Taiwan (Republic of China), Colombia, Costa Rica, Cuba, Cyprus, Czechoslovaka, Denmark, Dominican Republic, Ecuador, Egypt (ARE), El Salvador, Ethiopia, Fiji, Finland, France (Vol II), German Democratic Republic, Germany- Federal Republic of, Ghana, Greece, Guatemala, Guyana, Haiti, Honduras, and Hungary. This volume presents in continuation of Volume I the development of irrigation and drainage in 36 countries including, inter alia, a general description of physiography; climate and rainfall; population and size of holdings; land resources; water resources; brief history of irrigation and drainage; irrigation and drainage methods used; statistics relating to irrigation and drainage; important relating to irrigation and drainage; important projects; field water management; problems relating to irrigation and drainage; present developments, future plans and potentials; administration of irrigation and drainage projects; economics of irrigation and drainage projects; financing of irrigation and drainage projects; new technology and its application; water laws and inter-state agreements; international water agreements and treaties; research on irrigation and drainage; and other features. France, India, Indonesia, Iran, Iraq, Israel, Italy, Jamaica, Japan, Jordan, Kampuchea, Kenya, Korea (Republic of), Laos, Lebanon, Libya, Madagascar, Malawi, Malaysia, Mali, Malta, Mexico, Morocco, Nepal, Netherlands, New Zealand, Nicaragua, Nigeria, Norway, Pakistan, Panama, Peru, Philippines, Poland, Portugal and Puerto Rico. Romania, Saudi Arabia, Senegal, Sierra Leone, South Africa, Spain, Sri Lanka, Sudan, Suriname, Swaziland, Sweden, Switzerland, Syria, Taiwan (Vol.I), Tanzania, Thailand, Tunisia, Turkey, Uganda, USSR, UK, USA, Uruguay, Venezuela, Vietnam, Yemen (Arab Republic of), Yemen (People's Democratic Republic of), Yugoslavia, Zambia, and Zimbabwe. This volume contains ten specialised papers contributed by experts and International Organizations. The Technical Memoirs (T.M.) contain valuable specialised papers from experts on themes of topical interest and have appeared between triennial congresses of ICID. In situations of high water table crops suffer from waterlogging and salinity. Appropriate drainage is the long-term remedial measures which can be horizontal drainage (open or buried drains) or vertical drainage (use of wells). General: Deal with principles, application, comparison of vertical and horizontal drainage and irrigation wells. Design Factors: Tubewell components, filters, screen, pump casing, well economics, pump and motor, well field design, and special wells. Construction Materials: Well string components, filter material, pumps, pump house. Construction: Drilling, logging and sampling, well string installation, gravel placement, development, testing, cleaning and sterilization, measurement and equipment. Operation and Maintenance: Initial records, monitoring, maintenance, workshops, rehabilitation. Rice (paddy) occupies a very important place among the staple food crops in the world: it constitutes 20 percent of harvested area and 25 percent of the world production of cereals. Part I traces the historical development of rice culture and is devoted to the factors like land and water management, basic studies on climatic conditions, consumptive use affecting the production of rice in 19 countries of the world. The world-wide survey as covered in this volume focuses attention on important aspects of rice irrigation to stimulate the thinking and presents recommendations for further studies. Part II presents the practices of rice cultivation in 19 countries of the world: Australia, Bangladesh, Burma, Cambodia (now Kampuchea), China Mainland, Hungary, India, Indonesia, Iran, Italy, Japan, Malaysia, Philippines, Portugal, Republic of China, Republic of Korea, Spain, Sri Lanka, United States of America (USA). This volume presents in continuation of Volume I, 12 more country reports which deal with comprehensive and authentic account of flood control including, inter alia, a general description of rivers; fundamental systems of flood control; statistical data of floods, flood control problems; a comprehensive survey of flood protection methods; the legal, administrative, economic and financial aspects of floods; research on flood protection; international cooperation; and other important features of flood control. Malaysia, Mexico, Morocco, Philippines, Poland, Republic of China, Republic of Korea, Rhodesia (now Zimbabwe), Switzerland, Union of Soviet Socialist Republics (USSR), United States of America (USA) and Venezuela. This volume contains an introductory chapter and 15 country reports. The introductory chapter covers general survey of the development of flood control survey of the development of flood control measures and the latest practices adopted to mitigate the increasing flood damages, design aspects of flood control works, flood warning and flood forecasting system appraisal and financing of flood control projects, research, international cooperation and broad conclusions. The introductory chapter is followed by country reports. The country reports present a comprehensive and authentic account of flood control including, inter alia, a general description of rivers; fundamental systems of flood control; statistical data of floods; special flood control problems in the respective countries; a comprehensive survey of flood protection methods; the legal, administrative, economic and financial aspects of floods; research on flood protection; international cooperation and other important features of flood control. ARE (Egypt), Australia, Austria, Bulgaria, Canada, Colombia, Czechoslovakia, Federal Republic of Germany, France, Ghana, Hungary, India, Indonesia, Iran, and Japan. It is a very useful guide for engineers, planners and administrators dealing with the task of flood control. Salinity problem exists particularly in semi-arid and arid areas where irrigation is widely used for food and fibre production. Without control of salinity of soil and in water the irrigation systems failed in the past due to man's inability to cope with salinity. The technology and concepts of saline water irrigation are sufficiently developed for sustained production today and are discussed by the experts in this publication. The book deals with quality of irrigation water, effects of saline water on soils and crops, reclamation of saline and sodic soils, economics of saline water irrigation and summarised general recommendations. Part I: In addition to Messages and Greetings received from high dignitaries the world over, a comprehensive report of the Secretary-General highlighting the achievements of ICID between 1950-75 and suggestions for the future is given. Part II: Presents valuable reports on the development of irrigation, drainage and flood control from 33 countries: Arab Rep. Of Egypt, Australia, Bangladesh, Bulgaria, Canada, Colombia, Czechoslovakia, Ecuador, Fed. Rep. Of Germany, Great Britain, Greece, Hungary, India, Iran, Iraq, Italy, Korea (Rep. of), Malaysia, Mexico, Morocco, Philippines, Poland, Portugal, Spain, Sri Lanka, Sudan, Thailand, Turkey, USSR, USA, Vietnam, Yugoslavia, and Zimbabwe. Cotton has exercised a profound influence throughout the man's civilization. Despite the growth and spread of synthetic fibre and nylon textiles, cotton has the pride of first place among the cash crops. Very rapid progress in cotton growing calls for advanced technology and practices. This compilation based on reports from about 20 principal cotton-growing countries pools world-wide knowledge and experience on technological advances made on the theme of the publication. Eight chapters synthesize information from the country reports on economic importance of cotton irrigation I cotton-growing countries, meteorological and soil conditions, consumptive use of water for irrigated cotton under different soil and climatic conditions, cotton irrigation scheduling - research and findings, irrigation scheduling - field practices, irrigation methods, cultural practices, and conclusions and recommendations. At the end a bibliography of 603 references has been compiled. Design of irrigation canals is still based on empirical approaches than on any rational approach. It is, therefore, very important for the design engineer to have at one place design practices in vogue I different countries which have been evolved progressively from successful experience of generations. Such information does not appear to have been collectively assembled and this publication has been brought out to fill this lacuna. Information and data were sought through a questionnaire and comprehensive responses were received from 22 countries: Australia, Bulgaria, Canada, Colombia, Cyprus, Czechoslovakia, Egypt, France, Greece, India, Japan, Malaysia, New Zealand, Pakistan, Poland, Portugal, Rhodesia (now Zimbabwe), Spain, Turkey, USA, USSR, and Venezuela. Worked out examples have been given of the practices in a number of countries; and working diagrams and table shave been added to facilitate the derivation of various canal parameters. Both MKS and FPS systems have been adopted as the units of measurement. Formulae of Chézy, Ganguillet and Kutter, Bazin, Manning, Kennedy and Lacey have been given both in British and Metric systems. Among the staple food crops wheat occupies the most important place, i.e., about 32 per cent of world total of cereals harvested area account for wheat. The food production of the world has to keep pace with the exponential rising of population. It is, therefore, necessary to consider the ways and means of increasing wheat production through proper water management and other scientific measures. This publication, divided in two parts, presents a world-wide review in Part I which, inter alia, discusses factors affecting selection of land for wheat cultivation, land preparation, climatic conditions, wheat varieties, water management, climatic conditions, wheat varieties, water management methods of irrigation, farm hydraulic structures and control of water table, etc., soil management, water requirements including quality of water, consumptive use measurement, wheat yield in different countries, economics of wheat cultivation, recommendations for further studies. Arab Rep. of Egypt, Australia, Bulgaria, Canada, Cyprus, Czechoslovakia, Ecuador, Fed. Rep. of Germany, France, Hungary, India, Iran, Israel, Mexico, Peru, Poland, Portugal, Rep. of China, Rhodesia (now Zimbabwe), Romania, Spain, Turkey, USA and USSR. Le volume commémoratif publié à l' occasion du ème Anniversaire des Nations Unies et du 20ème Anniversaire de la CIID, traite du rôle vital de l'agriculture irriguée particulièrement dans les sols arides et semi-arides. L'ouvrage tient compte des réalisations accomplies dans le domaine de coopération internationale pur l'agriculture irriguée, et souligne la nécessité d'autres besoins et de directives pour l'avenir. 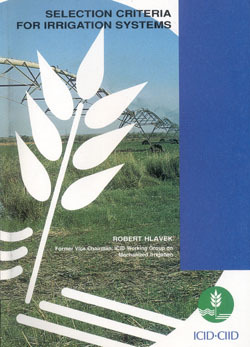 The commemorative volume brought out on the Twenty-fifth Anniversary of the United Nations and the Twentieth Anniversary of the United Nations and the Twentieth Anniversary of ICID, deals with the vital role of irrigated agriculture particularly in arid and semi-arid regions where the development has been very rapid. The book takes stock of the achievements made in the field of international cooperation for irrigated agriculture and stresses the further needs and directions required in the future. The book deals with the significance of evaporation loss measuring methods and principles of evaporation control, the necessity of monolayer over the water surface to prevent evaporation losses and the various properties of monolayers, the methods of measurement of evaporation losses and evaluation thereof, economic aspects of measures adopted to prevent evaporation losses and finally the necessity of future studies on the subject. Although the book was published in 1967 the contents are of interest and use even today. Useful for Professionals, researchers and students in water management, irrigation, drainage, soils and agricultural engineering. Description : Effective irrigation and drainage systems are essential if growing demands for water resources are to be met. For the use of water for irrigation to be improved we must understand current levels of performance. This book draws together the growing body of knowledge on irrigation and drainage performance assessment that has been gained over the last twenty years. It provides guidelines for practitioners to enable them to design and carry out performance assessment and implement performance-based management. Developed by a working group of the International Commission on Irrigation and Drainage (ICID) it provides a generic framework for performance assessment with guidance on the theory and practice of how to audit and assess the performance of irrigation and drainage schemes. Contents : Introduction, Framework for performance assessment, Performance indicators for irrigation and drainage, Operational strategic performance assessment, Diagnosing irrigation performance and Data management for performance assessment.